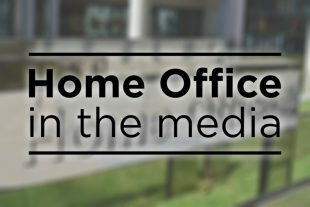 Today's Home Office stories include reports on the Kotey and Elsheikh death penalty opposition, claims that the UK is attempting to block the return of foreign fighters, and police resources. There is widespread reporting of High Court proceedings yesterday where the court was told that the Home Secretary abandoned UK opposition to the death penalty of two British Daesh fighters because he wanted to avoid causing "outrage" in the Trump administration. The High Court was told that the Home Secretary agreed to provide the US with vital evidence against Alexanda Kotey and Shafee Elsheikh after being warned that if he didn’t the President may “hold a grudge”. In addition, the Telegraph reports on claims that the UK is attempting to block the return of at least nine Britons held in Syria with links to Daesh. The paper said there were fears that British prosecutors may not have the power to bring returning to jihadists to justice. The article includes a statement from the Security Minister. We recognise there is a problem with prosecutions and we are dealing with that. That’s why we have added extra powers including on designated area offences into the Counter Terror Bill. The Express reported that just six of Britain's police forces have officers on their front desks.The Express reported that just six of Britain's police forces have officers on their front desks. The Former Met detective chief inspector, Mick Neville, was quoted as saying that “the front office is a visible presence of police in a town. This cannot be measured by bean counters who claim that people like to report crimes online”. The piece carries a Home Office quote noting that trained police staff were aiding victims and witnesses. The overwhelming majority of police officers work in front line roles, but it is an operational decision for Chief Officers who are held to account by elected PCCs to decide how best to engage with local communities to build their trust and confidence. The nature of people’s interaction with the police is changing, with online services becoming increasingly popular and it is right that forces respond to this. Call handlers remain an integral part of the police response, and we expect all 999 calls to be answered.